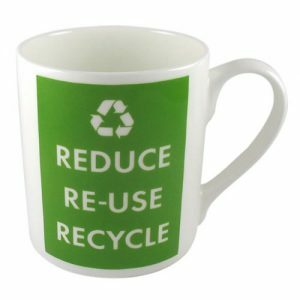 Here at Dorchester Community Church we’re seeking to become better caretakers (or stewards) of God’s wonderful creation by reducing, re-using and re-cycling our waste. 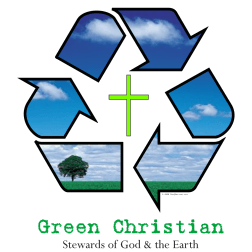 Is there a Christian reason to recycle? In the book of Genesis (Genesis 1:28) God gave mankind the gift of participating with Him in the care of His creation. 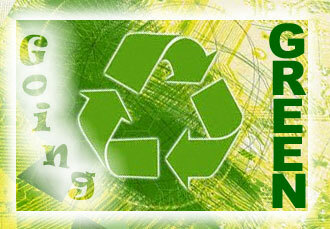 God recycles and renews! In the death and resurrection of our Lord Jesus Christ God has already begun the process of remaking His creation, until one day He will recreate the ‘new heaven and the new earth’ (Romans 8: 19-22). At the root of our wastefulness is greed and selfishness, which God calls sin and shows a lack of love for Him and His creation (Colossians 3:5). As part of asking God’s forgiveness we need to pray that God will change our behaviour and our attitudes. With God’s help we can be pioneers in thinking and acting ecologically! So how do we ‘go green’? REDUCE – To prevent the production of waste before it’s created e.g. stopping junk mail. 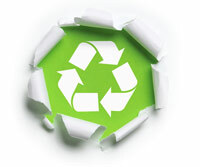 RE-USE – Using products over again in their current form for the same purpose or another use e.g. shopping bags for life. RECYCLE – the bins in the kitchen at Church will take ALL kinds of paper and cardboard, glass bottles, food tins, plastic bottles and drink cans. Making something old into something new e.g. plastic bottles can be made into fleece jackets, street signs and furniture. 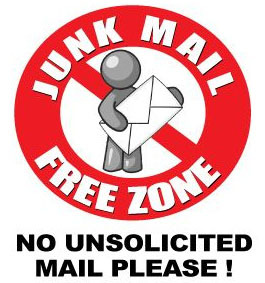 Want to stop receiving all that Junk Mail? What do we currently recycle ? We now have a box for recycling foil at the Church, on top of the other recycling boxes. Please make use of it! Liz M. collects these items for reuse/recycling, please think of Liz before putting them into the bin. Some of these tubes are used for planting seedlings, any left over are given to the gerbils, who shred them into little pieces, the pieces are then composted and in turn feed the allotment. All donations gratefully received! – Thank you.